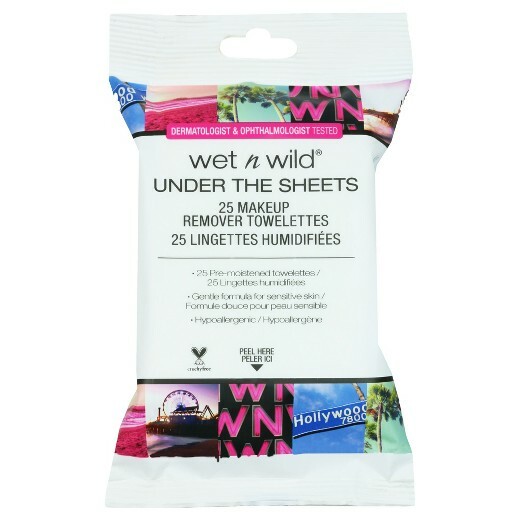 Wet N Wild Under The Sheets Makeup Remover Towelettes, 10ct. These baby soft cloths gently take off the day, removing all face and eye makeup in one sweep while leaving behind supple, moisturized skin. It’s gentle enough and hypoallergenic for all skin types, so your skin can relax for the night and you can sleep soundly. Recommended for Normal Skin Types.